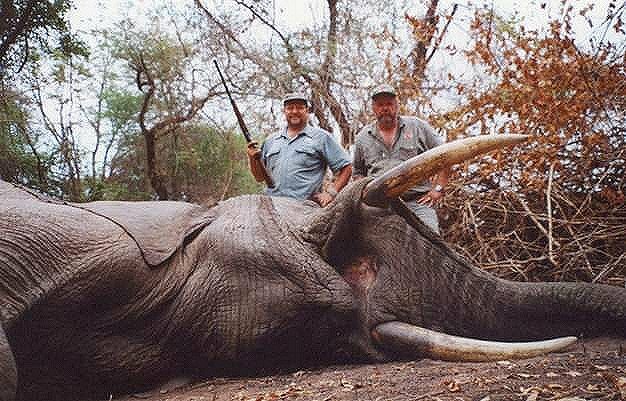 I have to say that elephant hunting in the jesse has got to be the most exciting thing, and to hunt with a PH like Dudley was an honour. I can highly reccomend him and his operation. I used my 500 nitro and GS custom bullets. Sorry Gerard, no recovered bullet. I brained the bull with a 3/4 frontal shot from 40m down an elephant path. The bullet went in above the eye and exited through the back of the skull, passing through the brain on the way. My insurance shot into the chest was a waste of ammo, but I did it anyway! The PAC bull was running, I hit it in the shoulder and broke the bone, anchoring it, shot a second round about 4" further back into the heart, and as it fell I shot it under the chin and through the brain. 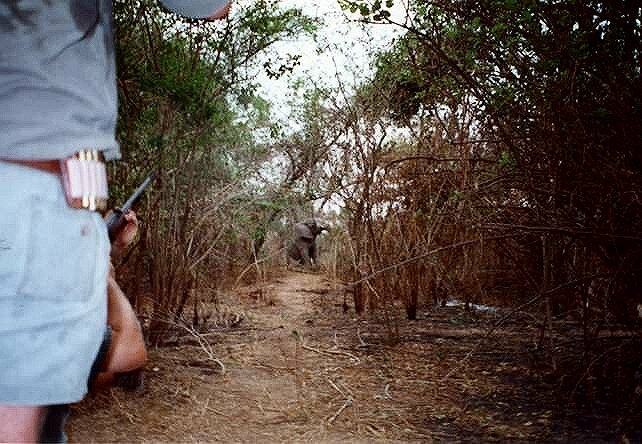 The bullets all exited, the one I shot through the chin I recovered in the earth behind the elephants head. 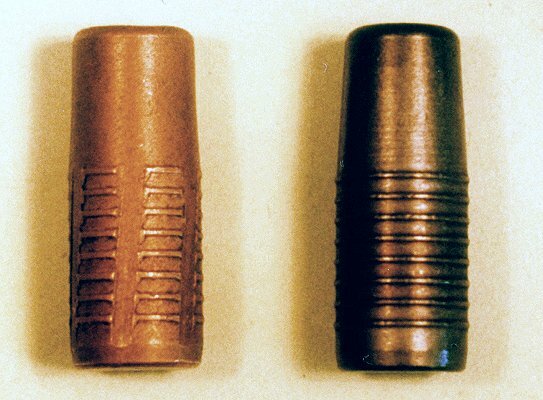 See the picture of the bullet, compared to an unfired one, at the bottom of the page. We spent the next 2 days looking for cows since Dudley still had a couple on quota and wanted me to shoot one for him, but they were not playing ball. We stalked a big herd of about 25 bulls in the jesse, and got up to within 7m of a 55 plus pounder and I managed to shoot him with my camera. This is my 40 pounder bull. Standing with me is Dudley Rogers, PH and proprietor of Tshabezi Safaris. Rifle used was my Ruger #1 in 500 nitro, shooting a 540gr GS Custom bullet at 2180fps. The bull's trunk has been maimed by a poacher snare. The poaching has been terrible and we saw a lot of elephants similarly maimed. This picture was taken milliseconds after I fired at and hit the tusker. I had to kneel since the overhanging jesse obscured my view of the elephant's forehead. 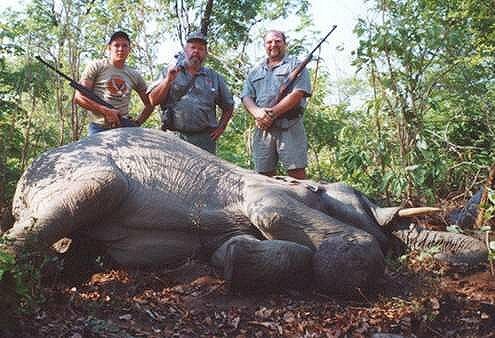 The rifle is in full recoil, and the elephant is collapsing. The range was paced off at a tad over 40m. This animal had gone berserk and killed a squatter and some cattle a few days previously and the local tribal council wanted it destroyed. With me is Dudley, and his apprentice PH.